Spring 2017 was a time of celebration, joy and hope with the graduation of six L.I.F.T. Scholars in Indiana and California! Our last two L.I.F.T. Scholars in Indiana graduated in May. 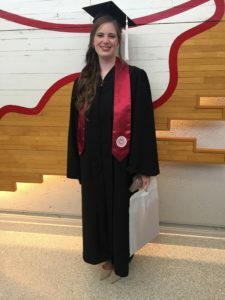 Taylor McCart graduated from Indiana University, Bloomington, Indiana after making a name for herself in the field of Speech, Language and Hearing. She received her B.A. in Speech and Hearing Sciences, minoring in psychology and simultaneously received a 100 hours of training as a Certified Speech and Language Pathology Assistant. The Monday after graduation she started working with hearing and speech issues of autistic children at a clinic in Bloomington. Zac Wobschall graduated from the distinguished Heron School of Art at I.U.P.U.I., in Indianapolis, Indiana with a B.A. in Fine Arts. Samples of Zac’s work can be found on the L.I.F.T. website when you read about the talents of the young artist. He has already sold his first commissioned work, a fabulous portrait. 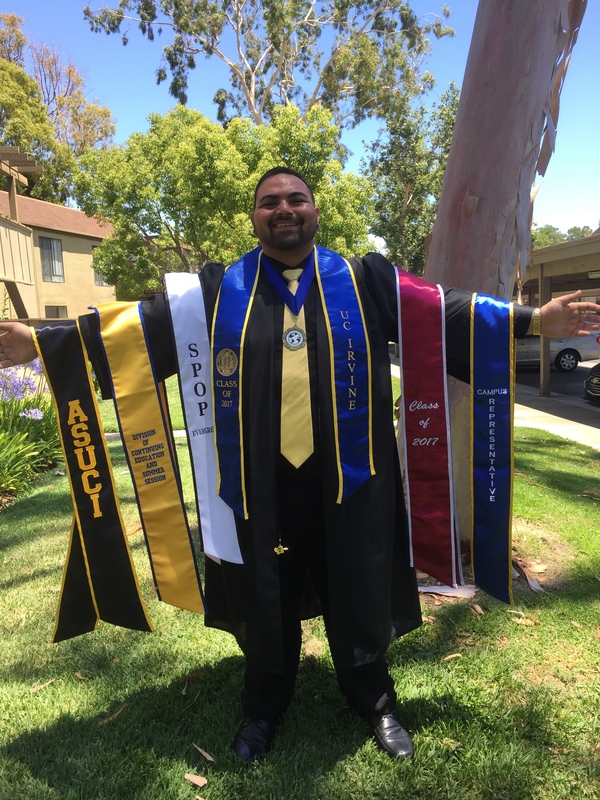 Hiro Bowers graduated with honors from U.C. 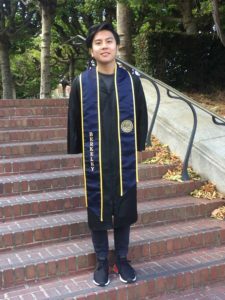 Santa Barbara with a double major of Global Studies and Japanese, presently studying at Hititsubashi University in Tokyo. Elmer Pangilinan graduated May 13, 2017 from U.C. 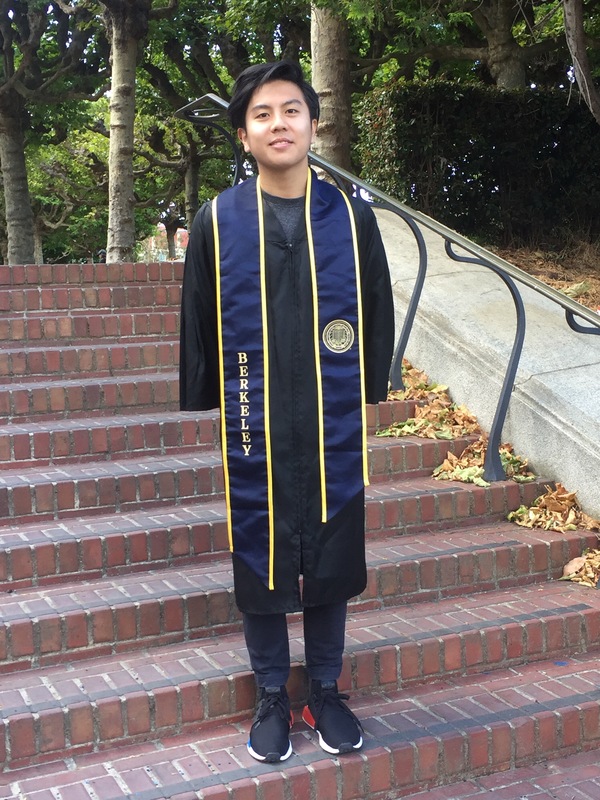 Berkeley with a B.S. in Cognitive Science, minoring in linguistics. He also followed his passion of photography all through college. After interviewing in San Francisco and New York he has taken a position at Spotify in New York City as a program designer. The following month celebrations continued as Majde Al Salibi graduated with a great many distinctions from U.C. Irvine with a B.A. in Political Science. He spent his years at college politically active and assisting peers as a Residence Assistant. As he transitions out of college he has taken a position as the Housing Coordinator at U.C. Irvine, while evaluating where to attend graduate school in educational policies. 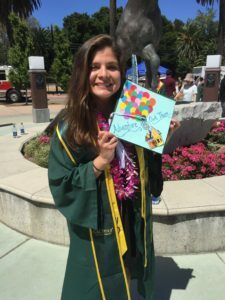 The next day commencement exercises were at Cal Poly San Luis Obispo for Leslie Santos graduating with a B.A. in Anthropology and Geography and a minor in Women’s Studies. The week before, at her major graduation, she was honored with the Exceptional Achievement in Cultural Anthropology Award. Traveling abroad to Africa as a volunteer and Thailand and Bali studying abroad Leslie continues today to explore the world. She spent the summer of 2017 traveling in Europe and Asia as she decides where to apply for jobs abroad. See Formula for Success and See L.I.F.T. Scholars.